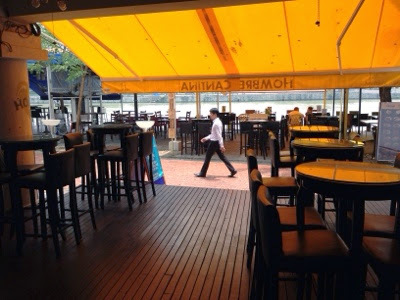 Hombre Cantina is pretty chilled out and you can sit inside with a bit of air con; or just sit outside and watch the world go by as you munch away. 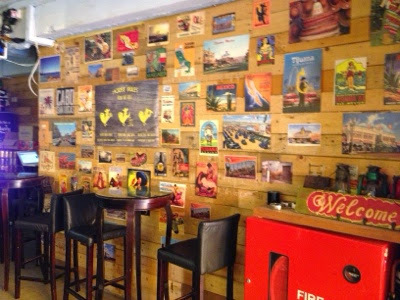 The bar means that you can also sit back with a Beer. Onto the ordering. 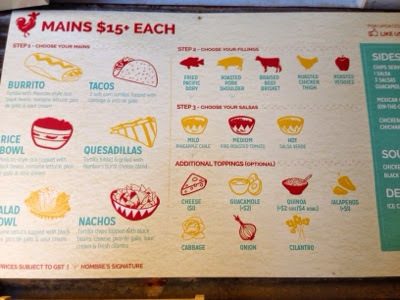 For anyone who has been to places like MexOut or Muchachos, the way to order should be pretty familiar to you. You start off with a base; like a Burrito, Taco, Rice, Salad etc and then choose your Meat and other toppings to go with it. Choose your Salsa carefully. I like it very hot so always ask for the spiciest one they have! The steps are easy to follow on their menu board. 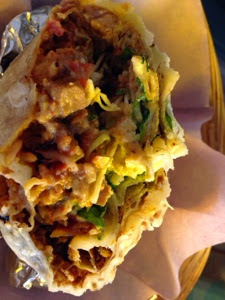 On this occasion I went for the Burrito, with roasted Pork Shoulder, hot Salsa, Cabbage, Cilantro and Cheese. 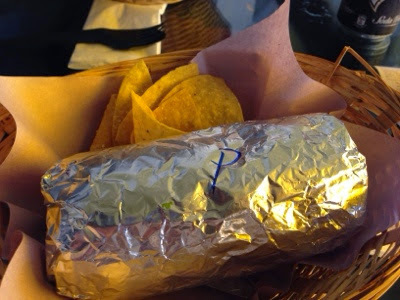 The Burrito does come with a small side of Corn Chips and a Can of drink. The Burrito itself is very generous so is pretty filling. I was impressed with the flavour of the Pork; well seasoned and was very tasty. It seems like it had a rub on it and then slow roasted until tender. A very generous amount of Pork was given too. The Burrito was packed full of goodness so I was impressed. You would expect this at $15 per meal. The other ingredients had generous servings as well so I definitely didn't regret my lunch choice. Probably on the expensive side for lunch (at $15) but with The Entertainer app, it was worth it. 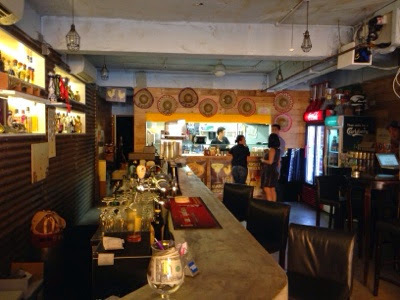 I would consider Hombre Cantina if I need another Mexican food fix around Raffles Place/Boat Quay. Check them out at number 53 Boat Quay.